earthquakes | Alaskan at Last! Anyone having read much of this blog will recognize I’ve become a champion of volunteering since I retired in the 2000’s and my joy in volunteering has paid many dividends across the years. From the satisfaction of working with elderly dementia victims to the heart-felt delight in fostering larger/older rescue canines I always get so much more out of volunteering than I put in. But volunteering has also served as a means to meet people and develop social networking with locals of a similar mindset. And it sure seems there’s always worthy causes out there seeking volunteers to help fulfill their goals. So it is I find myself entering into yet another volunteering effort; one which has already introduced me to many new local folks and promises to be one of the most, if not the most, fulfilling of all my volunteering efforts to date. On March 17, 2019 ten local people, of which I was one, completed our CERT basic training and were awarded our graduation certificates. For those of you uncertain regarding the nature of CERT let me explain. CERT is an acronym for Community Emergency Response Team and is a FEMA created program by which teams of volunteers across the United States undergo varying levels of training and are prepared to function when activated as support to first responders in the event of man-made or natural disasters. It is important to recognize that while CERT members have varying levels of expertise in basic medical treatment, light search and rescue, preparedness, fire safety, disaster psychology and terrorism we are not EMTs or first responders unless our members were so trained before they joined the CERT effort. However, if requested by first responders we can act as support for these functions. In the event a CERT team is onsite first – a very real possibility in rural Alaska – we are capable of basic medical care (i.e. stopping severe bleeding, clearing/opening airways and recognizing/mitigating shock) and simple triage. We can also assist trapped victims and evaluate disaster situations. But our real goal in such situations is to gather as much information as possible regarding the event and the ‘fallout’ so we can quickly and accurately share this information with first responders once they arrive on scene. However, CERT can do so much more for our communities. Our members have access to a myriad of training courses through which skills like crowd management, traffic direction, radio communication and similar can be developed. We all embrace the concept that the foundation of CERT is ‘neighbors helping neighbors’ and we will always try to ‘do the greatest good for the greatest number of people in the least amount of time’. In order to reach levels of proficiency we have monthly meetings and schedule training sessions involving our team and sometimes in coordination with other CERT operations in the general area. Of interest to this immediate area; the CERT function should mesh very well with the increase in neighborhood watch programs. In order to fulfill these responsibilities team members need some basic equipment such as ID vests, backpacks, hard hats, safety goggles, gloves, elemental medical supplies, flashlights and similar. While FEMA offers support to CERT via training opportunities they do not offer financial support. For the most part neither does the federal or state government. Therefore, most CERT operations must look to local businesses and community organizations to help defray the costs of equipping a CERT function. This means we need to be aware of potential grants and be able to submit requests for monies as well as insure the local economies and community functions are aware of our needs. As you can imagine there is nothing really low cost when purchasing basic medical supplies like triangle bandages, tourniquets, tweezers, scissors, hot/cold compresses, non-latex exam gloves, anti-bacterial wipes and similar. Nor are other required items such as hard hats, goggles, work gloves, flashlights, back packs and the like. Many of these supplies will, hopefully, never be used but in the event they are needed they could prove lifesaving. In the end CERT can be seen as a kind of local community insurance; while it may cost a bit from time to time if and when it is needed it can be almost irreplaceable. It is important to remember CERT members are all volunteers who have given and continue to give of their time to train and be ready for what most of us would consider ‘the unthinkable’. We can form a community core of local people who stand ready to assist and support their fellow neighbors during difficult times. Living in the Talkeetna area has really brought home just how vulnerable we are and how much on our own we could become in the event of a major disaster. The magnitude 7.2 earthquake on November 30, 2018 helped me understand how valuable a CERT function could be as the only road between this area and the lower valley (Wasilla-Palmer and Anchorage) is the Parks Highway (AK 3) and it was closed for a time. It has also been closed in June of 2015 during the Sockeye wildfire in the Willow area. 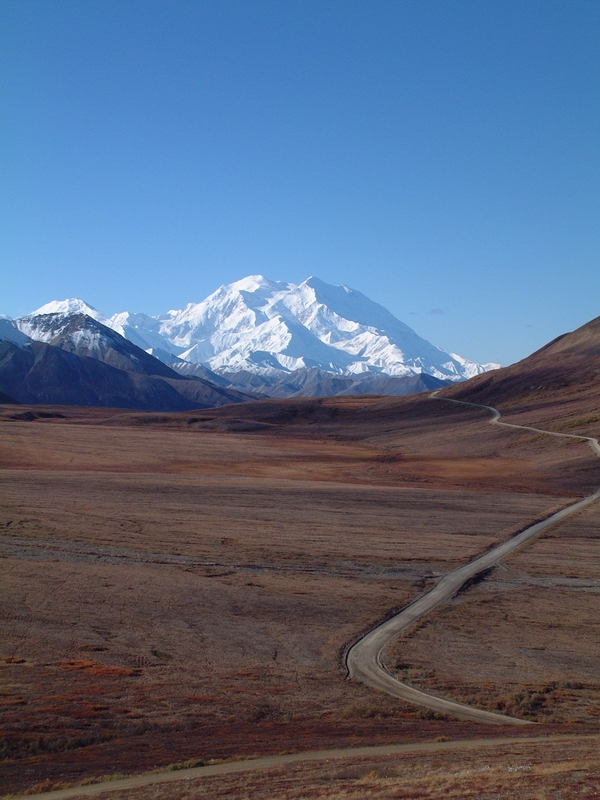 If a major earthquake or wildfire severed the Parks Highway at, say, Mile 96 Talkeetna and the surrounding areas would have no access to the lower valley and their support functions. In this case it would be just a handful of local firefighters and EMTs available to deal with the aftermath of such an event and if there is widespread damage and casualties they would be quickly overwhelmed. Under these circumstances a CERT presence could function as an ‘expertise/first responder’ multiplier and help the first responders assist so many more people in need. Although we hope we are never called upon to assist in a disaster situation we stand ready to assist our neighbors in their time of need and work closely with our wonderful first responders to ‘do the greatest good for the greatest number of people in the shortest amount of time’. Yet another milestone in my Alaskan adventure occurred this past Monday afternoon when the faint albeit unmistakable sound of distant thunder reverberated through the boreal forest. This is the first time I’ve heard thunder in my new home and it was most welcome! If there’s one thing I really miss from my time in the lower 48 its the seasonal presence of thunderstorms in general and severe thunderstorms in particular. As a very young child I remember being terrified of both lightning and thunder; I actually dreaded the steamy hot July and August evenings in SE Michigan because such weather often brought on thunderstorms. I’m forever grateful to my father for finally taking me out on the family home’s back porch as a thunderstorm approached and explaining just what was happening; we talked about the genesis of the storm, the lightning being the precursor to thunder and he taught me to estimate the distance to a storm by counting the seconds between a lightning flash and its resultant thunder. I never again feared thunderstorms and, indeed, grew to absolutely love the phenomena to the point I regularly walked in such storms. In hindsight probably not the wisest thing to do but I loved feeling the energy and power of the storm all around me. One time I remember actually feeling a weak electrical shock from a close by strike; I never wear shoes when I walk in such storms as they just become saturated and dead weight. And on a couple of occasions I’ve smelled ozone from a very close by strike; these events always included that incredible ‘flash-boom’ effect of a truly close lightning strike in which the flash and resultant boom are virtually simultaneous. Anyway, the thunderstorms I’ve seen up here – mostly on radar or satellite – are pale comparisons to the gully washers of the SE or the incredible towering cumulonimbus of the plains storms but at least they are around. Indeed, there is now little call for the weather spotter training I cultivated while living in the lower 48. I still do participate in CoCoRaHS (Community Collaborative Rain, Hail & Snow reporting network) and I have sent in reports of extreme weather to the Anchorage NWS office during a winter storm but I do not expect to do as much in these areas as I did while living in the lower 48. Yet there’s no shortage of fascinating meteorology up here and I’m in seventh heaven re-learning so much of what I took for granted as ‘immutable knowledge’ regarding the weather. Weather in the higher latitudes is quite different from that found in the middle latitudes so this a fertile area for learning’s; it’s just a great coincidence that I’m fascinated by meteorology in general. Another area of great interest to me, and one of which I know little but am working to improve, is that of geology and the physics of earthquakes. Prior to relocating to Alaska I had minimal experience with earthquakes and found them to be curiosities which might occur every decade or so. This changed a bit while I was employed with The Clorox Company as its headquarters is in Oakland with its technical center located just a bit further east in Pleasanton; as such I did experience more tremblors while visiting the west coast. Even so noticeable shifts in the earth were still just a curiosity. With my relocation to south central Alaska the frequency to which I would experience tremblors has changed dramatically as I’ve felt three very pronounced seismic events since moving up here and that’s been just 10 months. This past Monday afternoon a magnitude 7.9 event occurred in the Aleutian Island chain which prompted a short-lived tsunami warning; no damage was reported. While we did not feel anything up here the folks in Anchorage could feel just a bit of that event. I knew prior to moving up here Alaska was the most seismically active of the fifty states but I had no idea just how active it is; if you’d like to get some perspective visit this website: http://www.aeic.alaska.edu/recent/macsub/index.html. It’s run by UAF (University of Alaska Fairbanks) and is the clearinghouse for information on Alaskan seismic activity. Indeed, a quick perusal of the current data shows 79 events recorded for Wednesday, June 25th as of 12:18 AKDT. I’ve taken the liberty of pasting a copy of the activity map for June 25th at the end of this piece; it was copied as of 12:32 AKDT. Granted, most are very small as in the magnitude 1 to 2 range but this still illustrates Alaska can truly be ‘seismically active’. This is the only place I’ve heard sound associated with seismic activity; back in the winter a magnitude 5.9 event was accompanied by two very loud ‘booms’ which actually awakened my soundly sleeping Alaskan Malamute (Anana). I guess I could say there’s rarely a dull moment in this amazing state I now call home and I like it this way. We’re looking at the potential for some heavy rain across the next 12 to 18 hours; we need moisture so it is welcome although it will put a damper on riding my bicycle. But in true Alaskan fashion I’ll just substitute an extended walk in the rain with the dogs; they don’t mind the rain although they won’t like having to remain in the mud room for a few hours after we return so they can dry off and I can take a couple of shots at removing a bit of that glacial silt and dirt that is ubiquitous to this area. These kinds of adjustments are becoming almost routine and I like this realization as it means I am definitely becoming an Alaskan! Recently while assisting with the cataloging of donated food stuffs I was espousing how my Alaskan relocation had taught me a myriad of lessons and was continuing to do so. I speculated that I’d be learning lessons regarding living in rural south central Alaska for the remainder of my life because the lifestyle is so different in so many ways from the urban lower 48 existence I embraced for the first 59 years of my life. At this point I was asked what was the most important lesson I’d learned to date. This immediately caused me to pause and reflect – maybe that was the reason I was asked such a question in the first place – for a minute or so as I reviewed all the key learnings to date. I wanted to give an honest and accurate answer as versed with the first thought in my head so I needed a bit of time. I finally answered it was the value of being prepared. This is a definite nod to the Boy Scouts although I never was a member but only since moving to rural Talkeetna has the value of being prepared really become clear. There are so many levels of said preparedness; it can be as minor as hanging my small and light weight broom just outside the front door when the snow arrives so I can brush off boots, legs and dog bellies before entering the mud room. Or it can be as major – and potentially lifesaving – as insuring there are a minimum of 10 gallons of fresh gasoline in containers next to the generator on my front porch come winter. And there so many additional ‘flavors’ of being prepared when living up here. Regarding said generator; I was very lucky my buddy recommended I have a can of ether starter spray handy because one cold (-18 F) early morning when the power had been off for five hours and was still down the generator was refusing to start. Only after spraying the starter fluid into the air intake could I get it to catch and fire up. Some lessons regarding preparedness were taught by dealing with not being so; I have a storage shed maybe 15 feet from the house which contains a raft of tools and implements. The shed sits on stout and sizable logs which puts the base of the door maybe 18 inches off the ground. However, this winter I saw enough snow – and it was a very mild winter in terms of snow fall and temps – that I couldn’t get into the shed without extensive snow shoveling. This wouldn’t have been a big deal except I’d left the battery charger and the long extension cord for powering the Escape’s battery blanket within the shed. Given the grief I went through to get into the shed when there was 28 inches of snow pack you best bet I won’t make that error come this winter! I learned that one had best have a reasonable shovel of some type within one’s vehicle cause ya can never tell when you’ll get stuck in a manner that five minutes of shoveling will free you but if ya have no shovel you are outta luck; and, yes, I learned this lesson the hard way as well. I was smart enough to insure I have at least two weeks worth of food on-hand come winter; thankfully this past winter I never needed to dig into the ongoing balance but after seeing some aspects of this ‘mild’ winter I can see why two weeks is the minimum I would recommend. It’s very common for Alaskan houses to be built atop crawl spaces to allow for moisture reduction but still give the house the ability to ‘float’ a bit in earthquakes. Because of the potential for extreme winter cold it’s also common to have small heating units included in the crawl space to warm winter air just enough to keep pipes from freezing when the air temp drops below -15 F for extended periods of time. In my place running said heater requires I manually switch it on and off at the main floor breaker box. While I was good about turning it on I was not so great at turning it off; allowing it to run across most of January when it was so unseasonably warm doubled my monthly electric bill. You bet I’m going to be wiring in a functioning temp switch this summer which will toggle the heater around an air temp of -15 F! In the depths of the winter I learned the value of having multiple candles staged around both floors along with butane lighters readily available. When the sun doesn’t rise until 09:30 and sets around 17:00 there are long periods of darkness. If one awakens to such darkness and no electricity its the wrong time to be stumbling around trying to find one’s way down stairs and to the outer wear so the generator can be started and engaged. Flashlights are an option but it always seems as though the batteries will die when most needed. A lighter and a few strategically placed candles can be toe and knee savers on such dark and cold mornings. Before this coming winter I will be rigging a few sections of LEDs that are wired right into a tape backing and can be powered by a twelve volt battery. A few of these in the stairwell and in a couple of the hallways use little energy but would provide safe lighting in the dark if the power fails. Seasonally based preparedness is also very important. Thankfully I did not learn the hard way regarding parking one’s vehicle in such a location as to be clear of the falling built up snow and ice which is going to drop from one’s roof. When there’s two feet of snow mixed with ice breaking free in large chunks I can tell you the house shakes when one let’s go and answers gravity’s call. I would not want to see what it would do to any vehicle in its path. I learned this spring that as soon as there’s substantial sunlight – I’d say by early April – the mosquitoes will begin to appear even with a foot of snow on the ground so its important to have exterior barriers like netting for the porch ready to be mounted. In SE Michigan seeing mosquitoes when snow was on the ground was non sequitur; up here that’s the way it is… It’s important to recognize the natural rhythms of the wildlife around us and that’s especially true for the larger mammals. Bears are around from late April through early November; during that time it’s very important to remain ‘bear aware’. Trash has to be burned or immediately disposed of if it smells of food; leaving it lying around, even within a shed or similar, will attract bears. Trust me, no one up here wants to encourage any type of bruin to hang around their homes! Moose are here year ’round in large numbers; I’ve seen moose in my yard every season to this point. They were almost ubiquitous from mid-March into early April; then they largely disappeared. Only now are they starting to re-appear and many cows have spring calves in tow; this is also true of many of the bear sows with their spring cubs. I’m not sure which combination is more dangerous but rest assured as a mere human you do not want to surprise either one or even give the adults the inkling you could be a potential predator. Something which never did occur to me until a friend mentioned it a few months back – more proof I still think like a lower 48er – is the wisdom of keeping cash in one’s dwelling. While this is rural Alaska we have the same debit card fanaticism up here and people regularly withdraw money from the only local banking service’s – Matanuska Valley Federal Credit Union – ATMs. But what would happen if a major earthquake or wild fire seriously damaged our electrical infrastructure? If our broadband connections alone were cut any kind of plastic could not be used because it could not be verified as valid; in addition the ATMs would no longer function. In the event of a fairly substantial quake we could be without such services for a week or more. If one needed to purchase gasoline or food about the only way to make such transactions is via currency. Therefore the wisdom of keeping $400 to $600 of cash available in one’s dwelling becomes not just prudent but a darn good idea. Whilst this might seem like an invite to burglars all of us have firearms of varying natures and numbers up here and most everyone is proficient in their use.